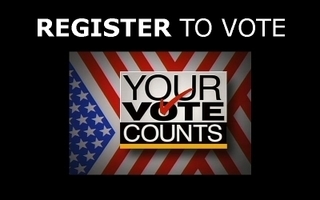 Voter registration in Seward County will close on March 23, 2009. Advance voting begins March 18, 2009. In person advance voting wiil take place at the County Clerkź? ?s Office and will end April 6 at noon. Anyone can request a mail advance ballot by completing the Advance Voting Application on the Seward County website, www.sewardcountyks.org. Applications must be signed and returned to the Clerks office at 515 N. Washington Ste 100 or faxed to 620-626-3211 no later than April 3, 2009. For more information you can call 620-626-3355.